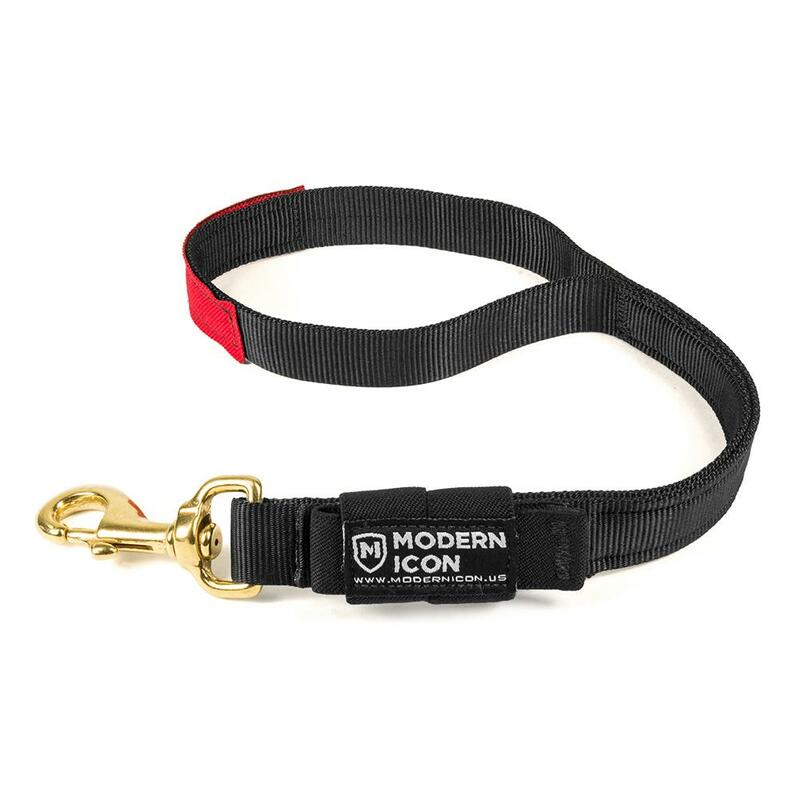 The Patent Pending design Modern Icon came up with is an industry first; offering the handler the option of always having a lead attached to their dog yet never having to worry about it getting in their way when it’s not in use. 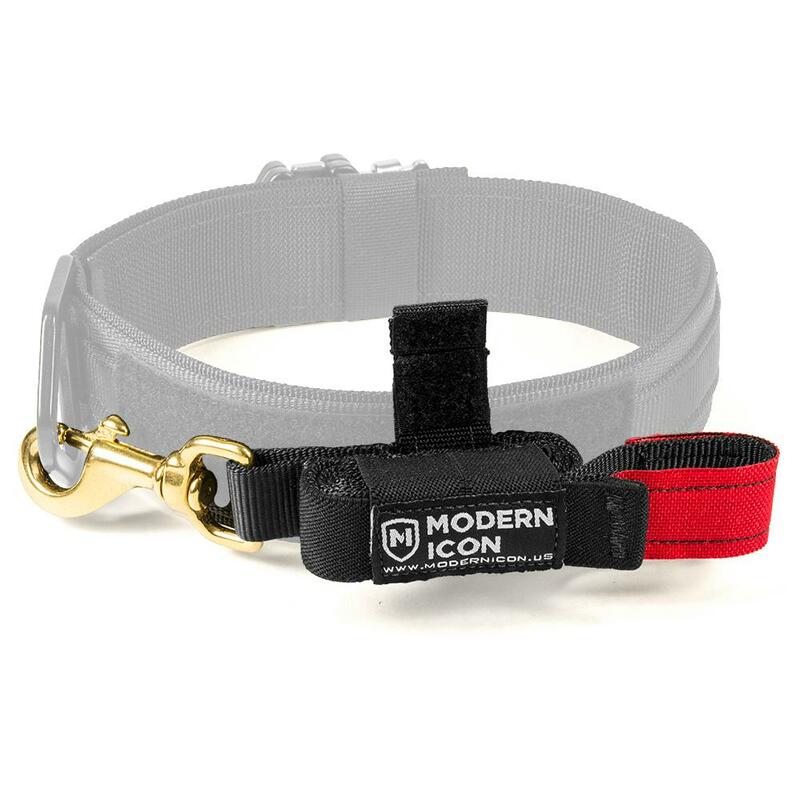 This allows you to clip the lead to the dog with the traditional clip-in options you’re accustomed to, while the body of the traffic length lead remains safely stowed in an elastic housing. Select whatever clip-in option you are familiar with or that your department requires. 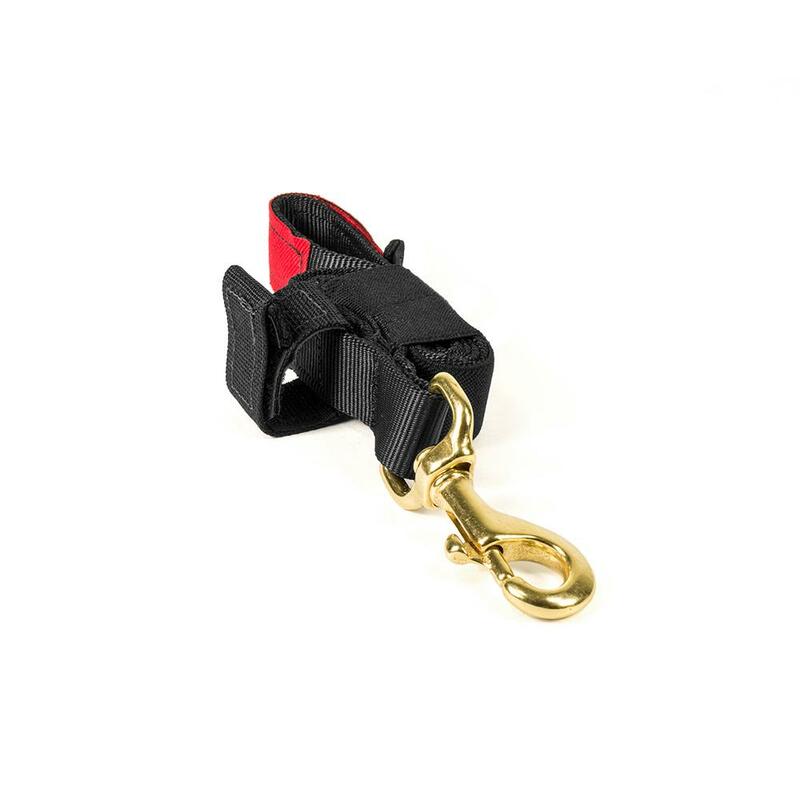 Break away attachment strip uses a Velcro system to provide you with multiple means of connection to your dog's harness or collar, and is user-replaceable if the Velcro wears out over time. Provides a secure location to stow your lead once it's been folded properly, keeping it from unraveling unless needed. 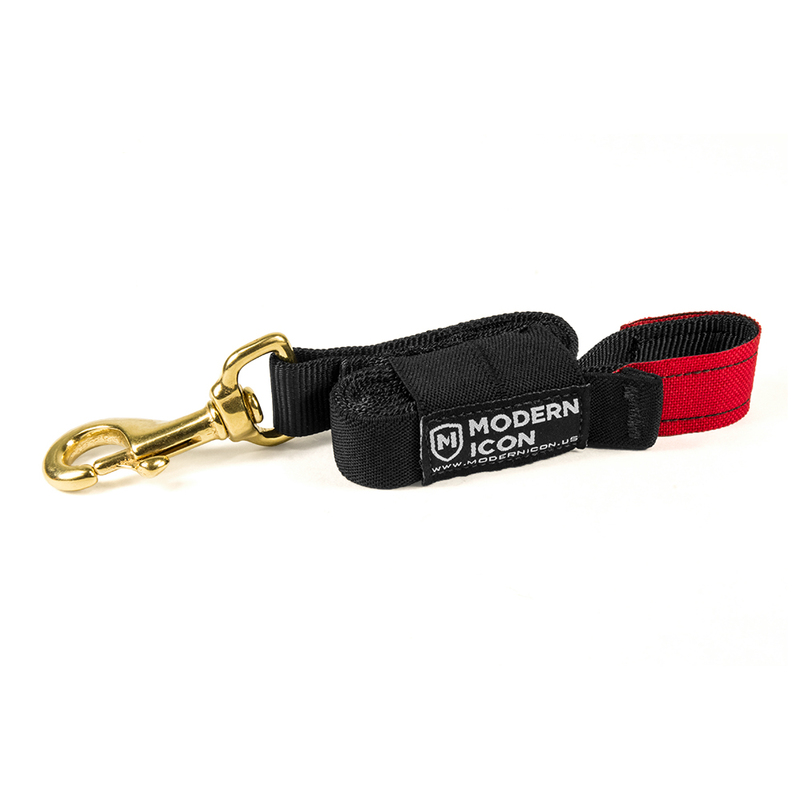 Integrated Red Pull Tab makes it easy to identify where to grab to deploy the lead—even under stressful conditions. Just grab the Red Tab and pull; the tension will unroll the lead and break the Velcro attachment loop from its location, allowing the lead to swivel freely.